‚I paint the details patiently in order to radically destroy them afterwards.' This is how Isabelle Dutoit describes the process of painting herself. 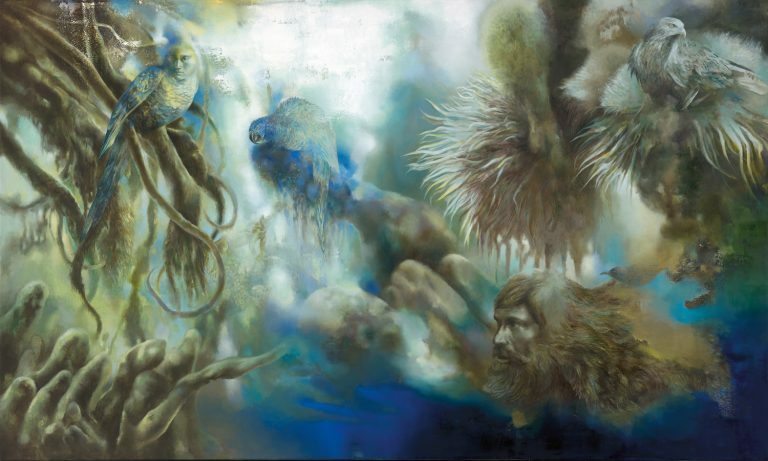 Indeed, her works are characterised by the symbiosis of painterly techniques which constitute the uniqueness of her work. The Leipzig-based artist combines careful, traditional drawing with abstract colour fields. The latter of which create a decor-like backdrop for her figures. While she started out interweaving the genres of landscape painting and portrait, her newest works discuss nature itself. 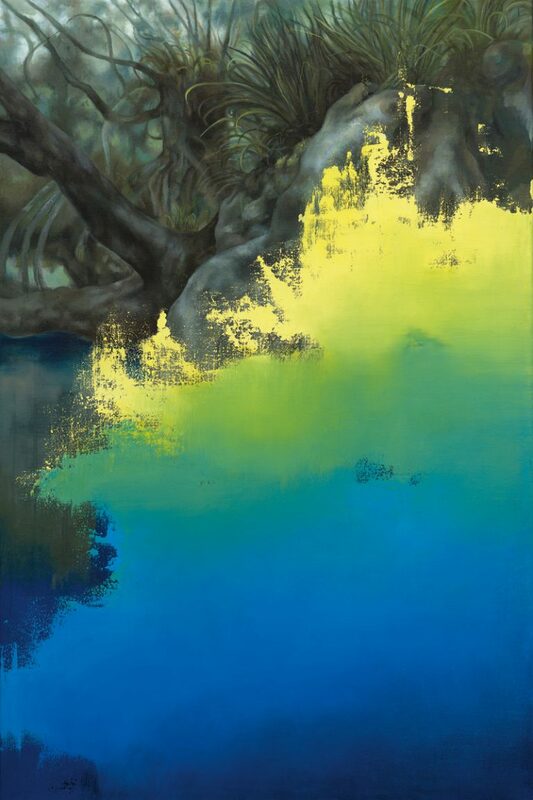 In an enchanting manner, Dutoit displays animals stepping out of the jungle- like painterly structures only to make them disappear again shortly afterwards.Thus, the interplay between appearance and disappearance becomes a central topic of her works. In doing so her figures often seem to be carried away from the surrounding space, as if dream and reality were blurring. Dutoit's works create areas of tension. The continuous interplay of drawing bordering on perfection, 'sfumato'-like backgrounds and abstract colour compositions, serve the artist in order to create new worlds. Worlds, in which – on a first glance – the human being does not appear. However, it can still be found hidden in the role of the destroyer of nature. Isabelle Dutoit, who completes her studies as Arno Rink's master student at the Hochschule für Grafik und Buchkunst, Leipzig in 2003, creates blanks and rifts leaving space for individual imaginations. 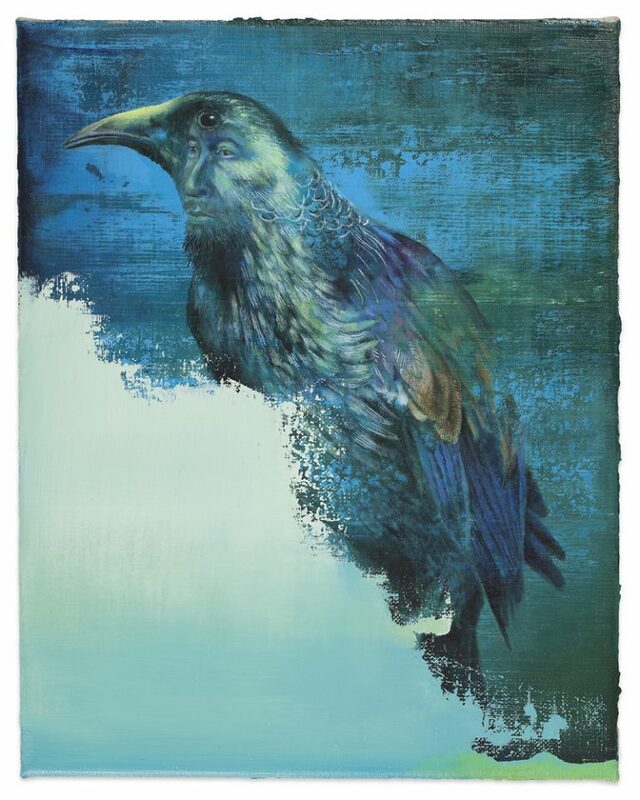 The artist (born in Groß-Gerau, Hessen in1975) is represented by Leuenroth Gallery, Frankfurt/Main. She lives and works in Leipzig.